Her party faces an uphill battle in the 2014 midterms. 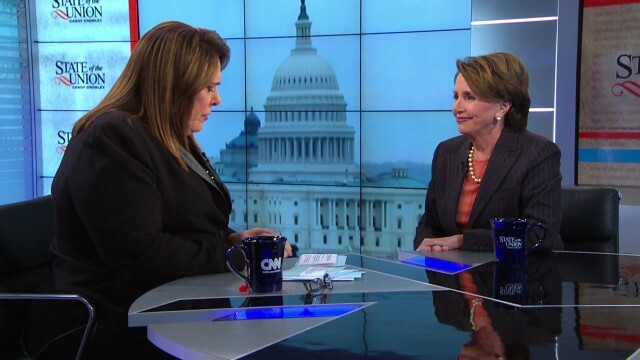 House Democratic leader Nancy Pelosi talks about the Democrats’ fight for control of Congress, big money in politics and the double standards women in power face in a Sunday exclusive. The House Intelligence Committee Republican Chairman Mike Rogers and the committee’s top Democrat Dutch Ruppersberger give their take on a Senate committee’s scathing report about the CIA’s post-9/11 practices. The Fort Hood shooting is bringing mental health back into the national conversation. Rep. Tulsi Gabbard (D-HI) and Rep. Tim Murphy (R-PA) join us. Plus, as time runs out for Flight 370’s black box pingers, we get the latest on the search for the missing Malaysia Airlines jet. And our political panel this week includes Penny Lee, Corey Dade and Ross Douthat.